On March 28, the FSU Art Visiting Artist Series presents Stuart Horodner, the Artistic Director of the Atlanta Contemporary Art Center. Horodner is a regular contributor to journals and magazines such as Art Issues, Art Lies, Art on Paper, Bomb, Dazed & Confused, and Sculpture and Surface. 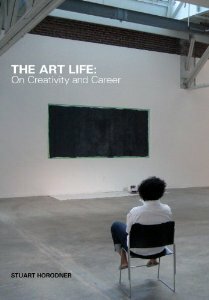 Thursday, 3/28, he will discuss his recent book, The Art Life: On Creativity and Career. FSU Fine Arts Building, Room 249, 7 pm.